Best places in Asia for doing business and trade. Japan, Korea, Singapore and Malaysia. Photo courtesy of Paul Symonds. If you are considering setting up trade relations in Asia or starting a business in an Asian country, here is a list of some of the best possible regions where your ventures are most likely to succeed. 1. Singapore – This small island country has a strong economy and a good market for international business and trade as it relies on imports from other countries to meet the needs of its population. Starting an import-export business with Singapore is sure to be a success if you are able to supply good products at a reasonable price. Some of the items that Singapore exports include heavy machinery, perishables, raw materials, petroleum and food products. 2. Japan – This country has a thriving economy and is known for its advancements in technology and telecommunications. Japan is also known to have a favourable policy towards international investments and new business ventures making it an ideal place to set up a business in Asia. It is well connected to the rest of the world in terms of transport and has world class infrastructure and reliable manufacturing standards. Some of the best industrial sectors that people looking to trade or do business can enter, include manufacturing, telecommunications, technology, raw materials and heavy machinery. 3. Malaysia – This country has rich natural resources and is a strong exporter of oil and petroleum. Freight agents looking to start up import businesses with an Asian country should trade with Malaysia when it comes to transporting raw materials. 4. India – India has a great international trade policy that encourages entrepreneurs from all over the world to set up service related industries and business in the country. India’s large labour force, reasonable tariffs and large number of industries make it possible for one to set up successful service related businesses or trade relations in this country. 5. 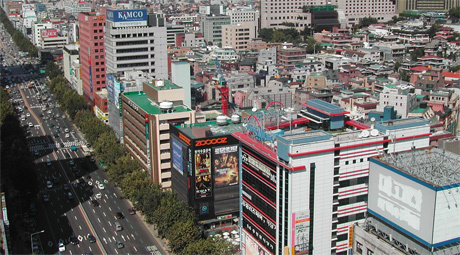 South Korea – This country has a developing economy that shows great potential for international business and trade. Entrepreneurs and corporates looking to set up new ventures in Asia should choose South Korea as their base of operations as the region has a good labour force and successful market.